Today we would like to share with the day we recently spent with Franco at his beautiful winery. 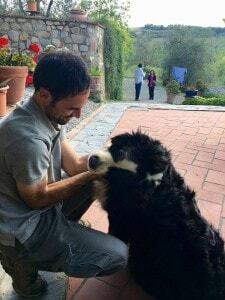 Franco is a farmer with earthy hands, sincere smile and a romantic noble soul. He is a dreamer and loves to be enchanted every day by the simple beauty of nature. He loves to following its rhythms and listening to its charming stories. 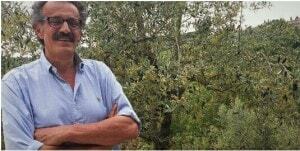 Franco is one of the first farmers in Tuscany who understood the importance of making wines in respect of nature. For that reason, he received the organic certification already in the 90’s, being within the first 100 organic winemakers in Tuscany. We started our visit in the fields, understanding the different grape varieties, its characteristics and history. 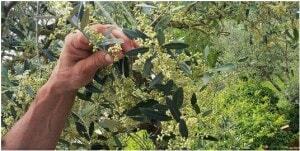 We also learned many interesting things about the olives. How its groves, how long do they live, how many liters of olive oil one plant is able to produce, olive harvest methods and much more. Since the end of May is the time of the olive trees blooming, we could also observe the tiny, delicate and beautiful olive tree flowers, that soon will become tasty and juicy olives! Every visit at Franco’s winery is a special experience and a new exciting adventure. In fact, we always discover lots of interesting stories enjoying the relaxing peace that surrounds this farm. Grazie mille Franco for your warm hospitality, until the next glass of wine!